Are you interested in doing business in Dominican Republic? Are you interested in taking a trip to Dominican Republic? 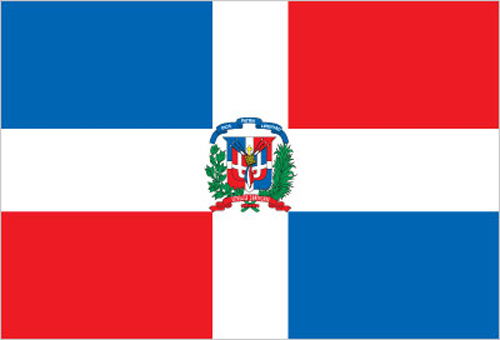 Are you of Dominican heritage and living, working or visiting Cleveland or Northeast Ohio? Submit your Cleveland Dominican news and events. Submit your Cleveland Dominican organizations and resources. Submit your Cleveland Dominican jobs, classes and other opportunities. The Taino - indigenous inhabitants of Hispaniola prior to the arrival of the Europeans - divided the island into five chiefdoms and territories. Christopher Columbus explored and claimed the island on his first voyage in 1492; it became a springboard for Spanish conquest of the Caribbean and the American mainland. 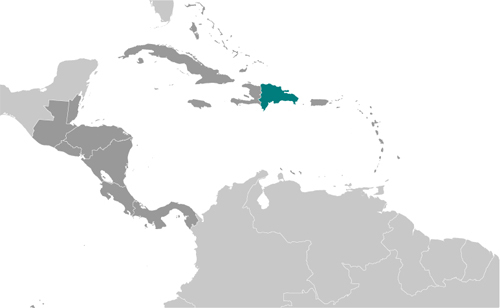 In 1697, Spain recognized French dominion over the western third of the island, which in 1804 became Haiti. 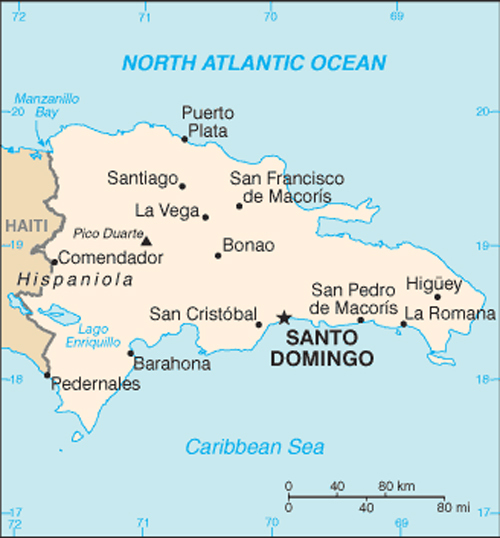 The remainder of the island, by then known as Santo Domingo, sought to gain its own independence in 1821 but was conquered and ruled by the Haitians for 22 years; it finally attained independence as the Dominican Republic in 1844. In 1861, the Dominicans voluntarily returned to the Spanish Empire, but two years later they launched a war that restored independence in 1865. A legacy of unsettled, mostly non-representative rule followed, capped by the dictatorship of Rafael Leonidas TRUJILLO from 1930 to 1961. Juan BOSCH was elected president in 1962 but was deposed in a military coup in 1963. In 1965, the US led an intervention in the midst of a civil war sparked by an uprising to restore BOSCH. In 1966, Joaquin BALAGUER defeated BOSCH in the presidential election. BALAGUER maintained a tight grip on power for most of the next 30 years when international reaction to flawed elections forced him to curtail his term in 1996. Since then, regular competitive elections have been held in which opposition candidates have won the presidency. Former President Leonel FERNANDEZ Reyna (first term 1996-2000) won election to a new term in 2004 following a constitutional amendment allowing presidents to serve more than one term, and was later reelected to a second consecutive term. In 2012, Danilo MEDINA Sanchez became president; he was reelected in 2016. Tell us about the music, food, holidays, traditions, costumes, language and other qualities that makes people from Dominican Republic so special. Submit your Cleveland Dominican cultural items. Read more about the Dominican and other Ambassadors. If you are interested in being considered to be an official ClevelandPeople.com Ambassador to the Cleveland Dominican community, please contact us. If you want to reach the Dominican community in Cleveland and Northeast Ohio, please contact us.